This is the story of my becoming a history docent at the Oakland Museum of California on January 17, 2014. January 2010, I was called by my mentor, hiring principal and friend Carolyn Raffo, with encouragement to come to the museum for the training to be a Gold Rush Guide. I thought about the possibility for a minute or two, and made up my mind. The next day a flyer arrived in the mail. I filled it out and mailed it in. 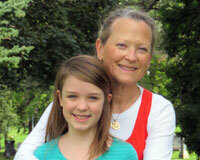 The first training day of potential Gold Rush Guides was on a Tuesday morning in February of 2010. The Manager of the Docent Training Program and the Docent Supervisor and Coordinator came into the Learning Center on the first level of the museum, around the corner from the Koi Pond. The training manager has kind eyes and and easy smile as he welcomed us to the museum. He sported jeans and a comfortable flannel shirt. I’ll call him Mitchell. The Docent Supervisor is tall and friendly and funny. She goes over some of the museum protocol for the next few months. I’ll call her Marjorie. Thick packets of what we would be learning over the next weeks greeted us as we found our seats. We were about 30, mostly retired men and women who loved the museum or thought we would. After Scott went over the rigorous schedule of reading, quizzes, a written final and an observation of our museum tour skills, some left their packets behind and did not report to class the following week. The training was a lot more than I thought it was going to be. My fellow trainees all seemed to be history buffs at heart and I felt very behind. But I was game. For six weeks I read all about the California Gold Rush and Early California History, beginning with the Native American period. I was not quite clear about why I had to start with the Early California Period or as is referred to in the gallery “Before The Other People Came.” How about jumping right into the time of the Gold Rush? Lots to learn! So, why study history? I discovered my own answer during a training in the gallery one day. I moved to California in 1977 from Oregon. I was born in Oregon and consider myself at heart an Oregonian, even after 37 years in California. One day in the gallery, while we were hearing about how people came to the Gold Rush on ships around “the horn,” I realized my own Irish great-grandfather, Mike Kelly, came to this country in 1845 during the Irish Potato Famine in much the same way. He homesteaded in Seattle, but was probably on a ship with people who got off in the San Francisco Bay to head to the gold fields. Ah, a personal connection and history suddenly has come alive for me. I am beginning to see that I am part of a bigger story. I, too, am part of a story that had to do with California. As I am writing this, I decide to do a bit of digging on the internet. I also call a couple of distant cousins. I discover that Mike Kelly was the first overland pioneer/homesteader in the area known as Highline, which is now where the Seattle Tacoma Airport is located. So he was not on one of those ships that went around the horn, but his adventure is just as exciting to me. This is a poster from 1969 honoring Mike Kelly and his farm Sunnydale by Pacific Northwest Bell which was the phone company in Washington and Oregon. Mike and his wife Jane Fenton filed a claim for Sunnydale in 1872. Mike Kelly gave the community its first name after he emerged from the trees and said, “This is truly a sunny dale.” Even today, a few long-time residents still refer to the area as Sunnydale.I can hardly wait to read more about their lives. Well, I traveled from Ireland overland to Washington State and now I need to head south back to California. Soon I began to live and breathe the Native-American Period in California, spending hours in the History Gallery of the museum every week. What connections will I find with the early Californians? One down and six to go… Who knew that California had a rainforest? In order to learn about all of these areas and their tribes, I studied and read for hours. I began right after our introductory meeting and was quickly taken aback. 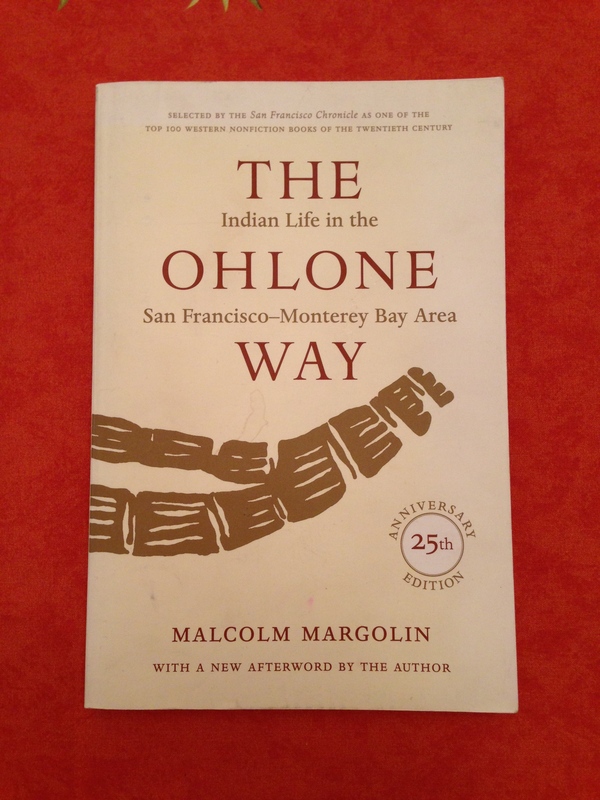 It was not just our local Ohlone (which I soon discover is not called the Ohlone) tribe I had to study. No worries, I thought. I knew the “tribe” Miwok, meaning “western people,” which is local to the Bay Area. But that is also not a tribe. Ohlone is a name that may have been invented for convenience to encapsulate the tribelets living between Point Sur, south of Monterey Bay and the San Francisco Bay. Invented! What about the book The Ohlone Way I used for years teaching third grade? Oy, more to clarify. It appeared I knew nothing that I could use with confidence. Had to start over. Tabla Erasa. Great site! Proud to be your docent mate?! This is useful and delightful. We should all be inspired by our new local Ms. Frizzle!